2. On your new audio track, open the track inspector and click the name of the track. This will bring up the track menu. 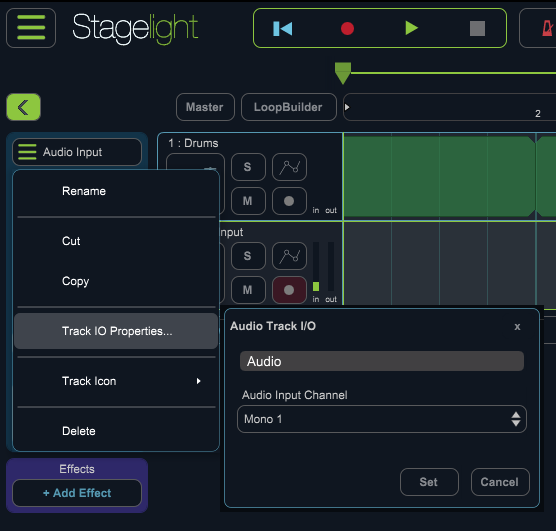 In the track menu choose the track I/O properties and select the input that that you have plugged your guitar into. 3. Press the speaker icon in the track inspector to hear (monitor) your audio signal. 4. Press the record button to arm your track for recording. 5. You should now be able to hear a signal from your Guitar and record.